The truth is there are more ways to make money than any single investor realizes. An example is found in a recent press release from a niche company. Globe Newswire reported, MKS Instruments, Inc. (Nasdaq: MKSI), a global provider of technologies that enable advanced processes and improve productivity, announced today a new program that provides easy online access to thousands of MKS vacuum products designed for labs, R&D and engineering facilities. Under the banner “Research takes time. Ordering your lab equipment shouldn’t.”, the new Ultra-High Velocity (UHV) Program from MKS offers thousands of vacuum products in stock, a new streamlined online ordering experience and free two-day shipping in the United States. With this program, MKS is committed to delivering proven, high-quality vacuum solutions directly into the hands of customers easier and faster than ever before. MKS has a proud 50-plus-year history of innovation and invention that continues to shape the technology solutions and products for research and laboratory applications. Now, customers can get them faster. Expedited Shipping – free two-day shipping in the U.S.
“In today’s highly competitive landscape, MKS understands that leading-edge science, engineering and technology are needed to power the next-generation products, solutions, and research of our customers,” stated Wayne Cole, vice president and general manager, Pressure & Vacuum Measurement Solutions, MKS Instruments. “Revenue for fiscal 2018 was a record $2.1 billion, an increase over 8% from $1.9 billion in 2017. Non-GAAP net earnings were $7.83 per share, an increase of 31% from a year ago,” according to Gerald G. Colella, MKS Instruments, Inc., CEO & Director. “Our ability to deliver these record results despite second half semiconductor market headwinds was driven primarily by a balanced exposure to a diverse range of Advanced Markets, coupled with our longstanding commitment to managing expenses. For the fourth quarter, we achieved revenue of $461 million and non-GAAP net earnings of $1.54 per share, both of which were at the higher end of our guidance. Traders seemed to like the news and pushed the stock up. This could signal that the rebound that begun in December will continue for some time. As with the ownership of any stock, buying MKSI could require a significant amount of capital and exposes the investor to standard risks of owning a stock. Every day, we scan the markets looking for trades that MKSI low risk and high potential rewards. These trades are available almost every day and we share them with you as we find them. Now, it’s important to remember these are trading opportunities in volatile stocks. For MKSI, the April 18 options allow a trader to gain exposure to the stock. An April 18 $90 call option can be bought for about $2.30 and the April 18 $95 call could be sold for about $0.70. This trade would cost $1.60 to open, or $160 since each contract covers 100 shares of stock. In this trade, the maximum loss would be equal to the amount spent to open the trade, or $160. For this trade in MKSI the maximum gain is $3.40 ($95 – $90 = $5; $5 – $1.60 = $3.40). This represents $340 per contract since each contract covers 100 shares. 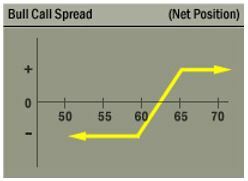 Most brokers will require minimum trading capital equal to the risk on the trade, or $160 to open this trade. That is a potential gain of about 112% based on the amount risked in the trade. The trade could be closed early if the maximum gain is realized before the options expire.